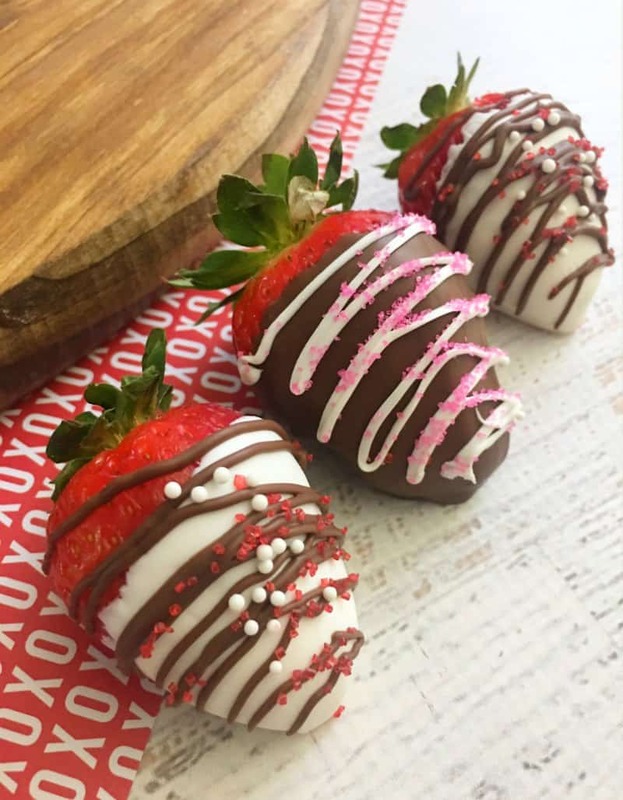 Make your lover some delicious Valentine’s Day Chocolate Covered Strawberries! What a treat! They are easy to make and loved by all! 1. Wash and dry your strawberries and lay out a piece of parchment paper. 2. In three separate small microwave-safe bowls, melt two cups of each color candy melts on 50% power for about 3 to 4 minutes, stirring every 30 seconds until melted. 3. Add about 1/4 of each melted chocolate into separate decorating bags and cut a tiny tip off the end. 4. 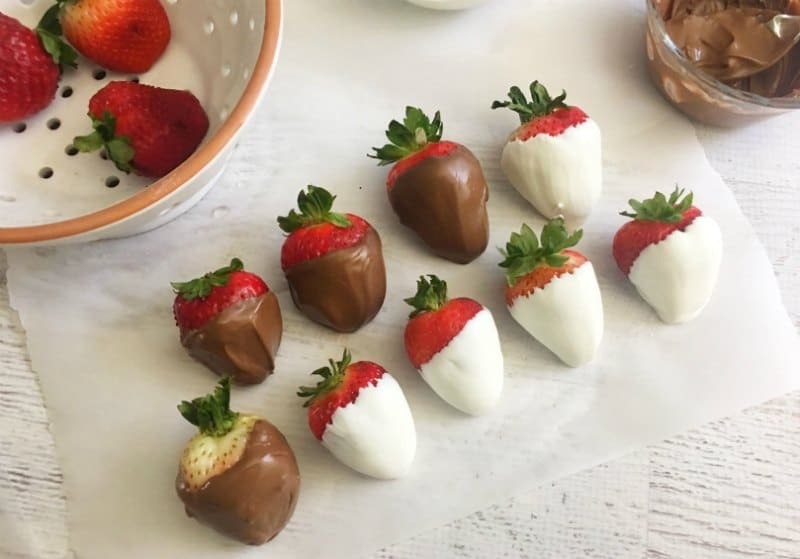 Dip your strawberries into your melted chocolate cups and place into your parchment paper and let harden for about 15 minutes. 5. 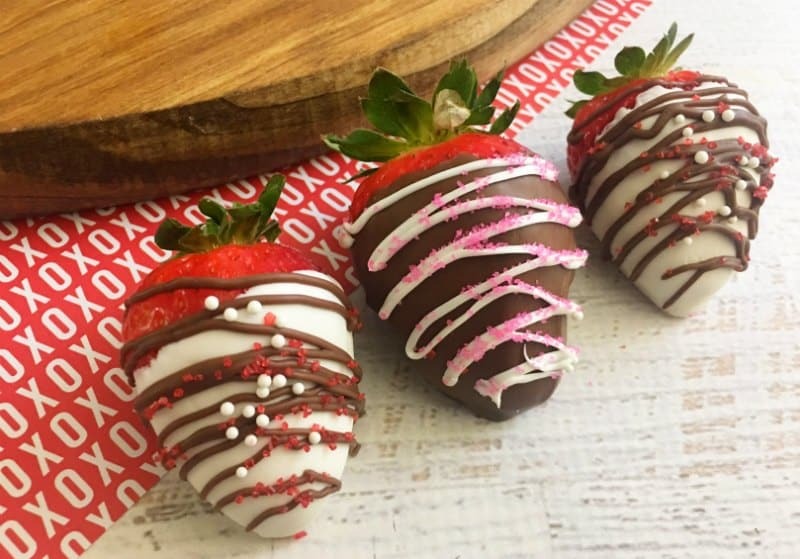 Drizzle your melted candy melts chocolate in your decorating bags over your chocolate covered strawberries. 6. Immediately top your chocolate drizzle off with the sprinkles of your choice and let harden for another 5 minutes and enjoy! 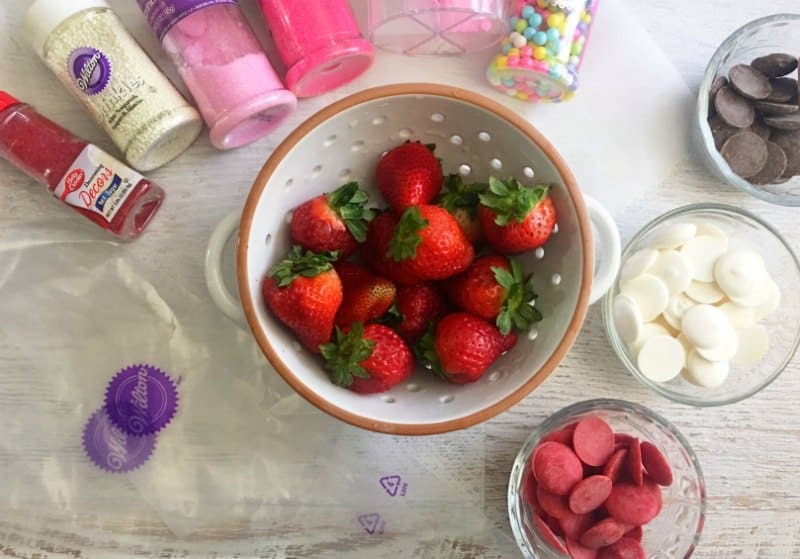 Wash and dry your strawberries and lay out a piece of parchment paper. In three separate small microwave-safe bowls, melt two cups of each color candy melts on 50% power for about 3 to 4 minutes, stirring every 30 seconds until melted. Add about 1/4 of each melted chocolate into separate decorating bags and cut a tiny tip off the end. 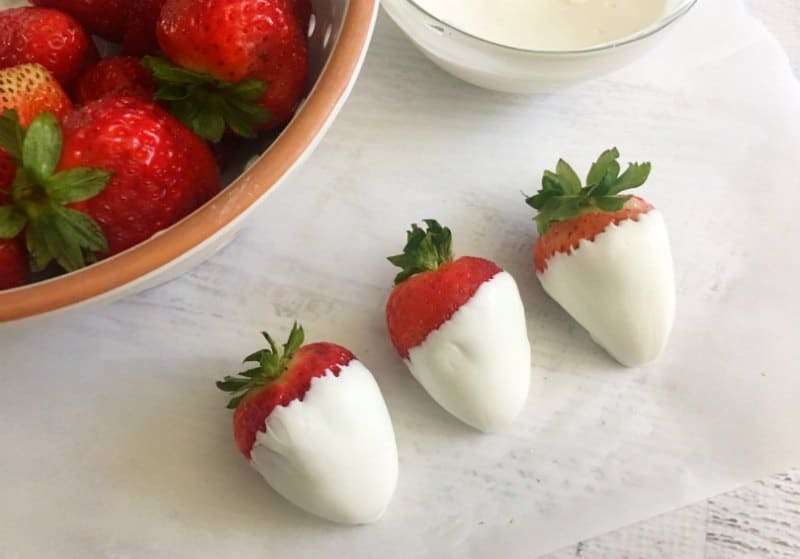 Dip your strawberries into your melted chocolate cups and place into your parchment paper and let harden for about 15 minutes. 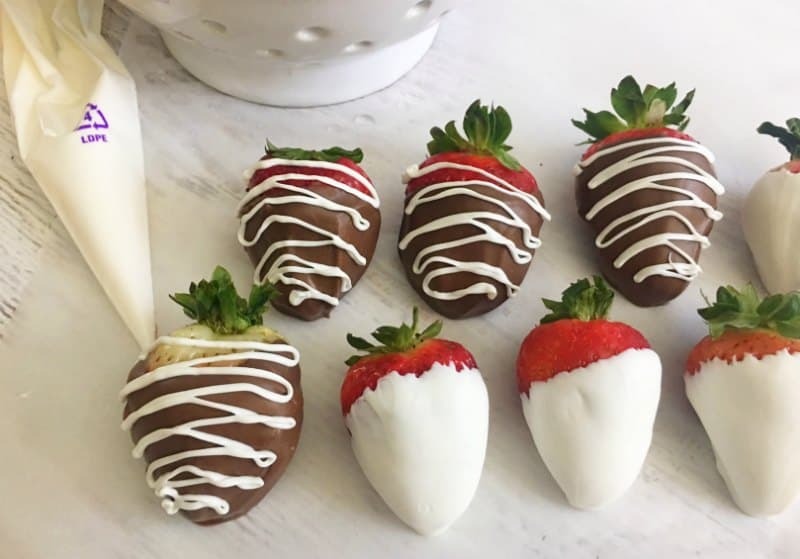 Drizzle of your melted chocolate in your decorating bags over your chocolate covered strawberries. Immediately top your chocolate drizzle off with the sprinkles of your choice and let harden for another 5 minutes and enjoy! 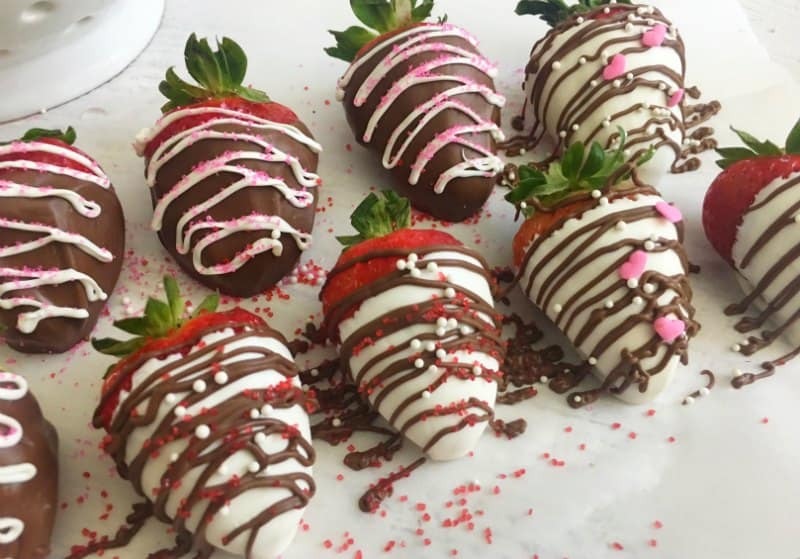 By Andrea Deckard on January 11, 2019 Desserts, Recipes.